and we will post it right here. I am not sure who to direct my email to. I have to tell you that Viper rocks. and several other US brands. None and I mean none look, and feel the same. do you have a dealer in Alberta ? all others either never answered telephone calls or took a week to reply to email. 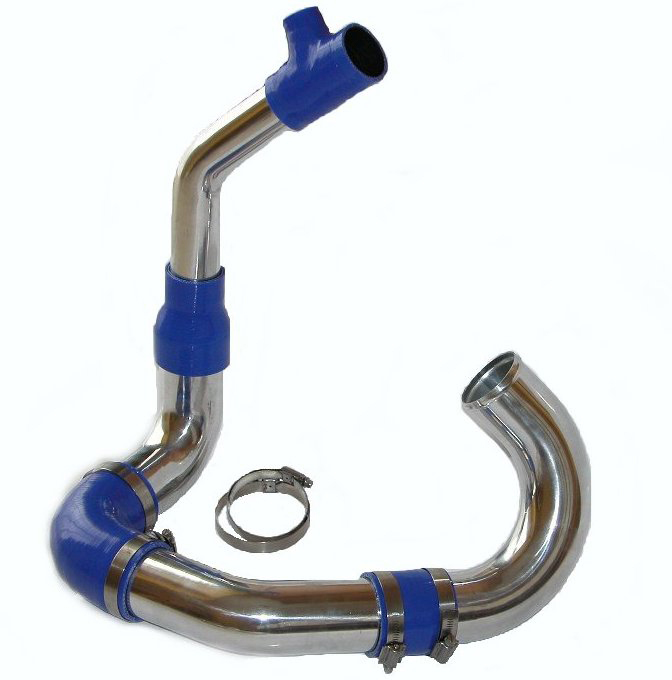 you made my custom batch of hoses for me quickly and professionally. You will be my 1st call in the future. Thank you for getting back to me so fast...would like to say thank you and fantastic. I messaged a few others, how either did not want to help or did not even reply. and for the way everything has been packed and delivered. The shipment arrived today, 24 hours door to door Cyprus. far exceeds anything we have used to date. Thanks for a painless and super efficient service. we are used to paying a bit less for silicone. just perfect. I did a trial fit and the hoses are gorgeous. I thank everyone there. Thank you Peter and good evening. I will certainly pay the extra for the quality that Viper performance gives over other makes. shows in the quality of the finished product which I am using, thank you. I just wanted to pass on my thanks for the awesome megane hose you supplied. The whole order process was pain less and you were very helpful over the phone. performance ones. Awesome product, awesome staff. Overall awesome. Keep up the good work! service and efforts made to comply with our purchasing and quality check protocols. 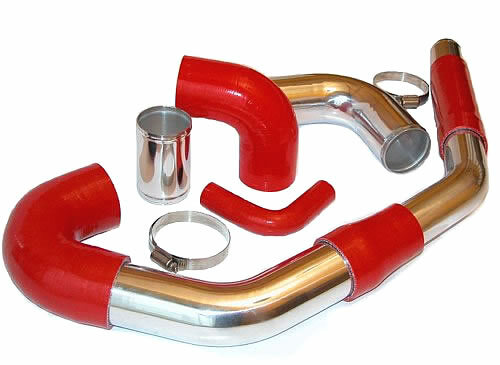 Our purchasing team will continue to source Viper hose product into 2015 with our ***** project. for the reducers , they not only look excellent and are as you say much stronger !! Best wishes for the festive season that is nearly upon us,! there's plenty available but they come at a hefty price. I saw yours advertised and took my chances. The Hose arrived along with 2x substantial clamps (Similar quality from my local Motor Factors cost £15). I was emailed with delivery details and progress etc. The hose arrived the very next day along with a warranty card, certificate of conformity and a 'free' key ring. I cannot recommend your company and product highly enough. will always set you aside from the usual mediocrity. to be VG quality ? ?, they where crap my welder went nuts, short deadline for race event !. I got a refund though, but had to buy them over again and come to you. It is said you get what you pay for! Your pipes on the other hand were great, proper quality, and I'm very happy! Thanks again for your super fast shipping and honest quality and have a great week ahead. very glad that you help us out and provide excellent service every time we do business with you. 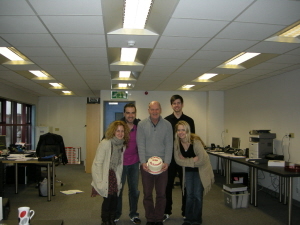 Our customer has sent the office team a cake which we all enjoyed very much ! in our project. We came to you first, and still despite your delivery, no one else in UK has yet contacted me. The other companies, in future we will not approach. We hope for successful long term relationship. correct this problem and in due time will replace all the coolant hoses with your product. Great service. OUR REPLY / OUR VIEW: order was placed on 23rd Dec at 16:30 ! on the basis of cost, and said it would be OK. Urgent orders should not be left 30 minutes before couriers collect from us. Yes we are happy with your swivel end fittings and braided hose we received last month. At this price we thought they would not be very good, we have been buying Go....dge product for years. They are nice to fit and work the same, and a lot less expensive..:) glad to have tried them. Now can you guys quote me for ....pieces of the same fittings I last ordered. thanks to Dan for staying after hours. in the past and they turn out not to last any longer than black rubber ones. For a couple of pounds more you get top quality and a guarantee !, well done nice to see that from a local company. the job and not let us down. The Ford Focus Kit arrived today thank you. In time for my husband's Christmas present. Nice hoses, he will like the colour!. I did not expect to order at half past three yesterday and get them in the post this morning. Merry Christmas to all at viper performance. I would like you to forward this email to your managing director. It is regarding our ........ engine development work. Your company quoted us within 1 hour for tooling and hoses. to several of our emails after weeks, and not even returned our calls, or acknowledge our enquiry!. I guess they either don't care or don't need the work. Anyway, your professionalism provided us with product we needed in critical timescales. you did not blag lead times to get the deal, you kept your promise and delivered on the dot. almost compromised by the dis-interest of all other hose companies we approached. A job well done, you deserve success in this tough economic climate. I will get our procurement team to contact you next week regarding our ......... project. The kit arrived today and it is amazing looking, feeling - top notch quality. I am sold!!! arrived so promptly via DHL. You really have spoiled me for service. Thanks again for a wonderful purchase experience. this is the video and pictures from the last drag racing event in Bulgaria. We have a 3 first places, Class FWD, Class Diesel and Class Street. and the cars are equiped with Viper Silicone Hoses. superb stuff, and thank you for all your technical advise ! in the future to address my requirements. The ease of ordering, issues with finding correct pipes/fixings etc and delivery efficiency is outstanding. Again, compliments to you and your services. 1 -We wish to express our infinite gratitude for the fast tooling, and prototype work. 4- Quality of build and material is of high standard. export documentation, and follow up conversations. automotive aftermarket products made in our corner of the globe you have a super quality. I will soon be in touch regarding the drawings we discussed on Friday. Kiambang Kian Mawar, Purchasing Manager, Q.......Energy, Malaysia. The order has already arrived, how quick, 3 days!. Everything perfect, well packaged and very fast shipping. I will recommend your company to the whole S2000 community in Portugal and everywhere around. The service was very quick indeed thank you. Very much appreciated. Plus it has a lovely fresh from the mould marzipan smell to it haha. Peter, thanks for your professionalism and giving news of my order to me. Hi. You guys are the best, its nice doing business with . Yes all hoses are blue as mentioned on my email. I am sending you a foto of an engine i installed on my boat using your parts. I am putting up a new one as we speak. More fotos following . LOL . Once again thanks for all ,and we will be in touch . it arrived at 8.50am this morning! Perfect item and superb service! I've will recommend you, so hopefully you'll have some more publicity from that. I will be in touch soon to order some more bits. Hoses arrived today. Thank you very much for your great service and great products! Thank you again so much for your assistance and understanding. It is very much appreciated. and I'll make sure they get to others in the local Mini Community here in Australia. It would be great to see a few extra orders come your way from such amazing customer service! Thank you for your quick response for the shipment. Well, ordered yesterday at 4PM got this order this morning at 9! Been in the business for 20years, and never have I come accoross this quality and speed!. Many thanks for the first delivery. I'm really very impressed of your outstanding quality! I received the bespoke superflex fuel filler hose in good order on Friday. Looks very good i must say , i'm gonna mount it this afternoon. I am writing to you to commend one of your staff. (Peter). He is a credit to your company. Dealing with my order for hoses and clips in a very friendly and professional manner. He personalised the sale and made me want to recommend viper-performance to other owners on the fiat coupe owners club forum. I wish that I had some staff of his calibre. I don't know if you run a staff recognition scheme but if you do, please consider this as a nomination. By the way, the hoses and clips were excellent quality too and I would have no hesitation in recommending your company. First of all, I just want pass on my thanks and gratitude to you for your help with this order. It was an absolute pleasure to speak with you and it seemed like you couldn't do enough for me. Thanks again, and I look forward to dealing with you again in the future. I order. So I really appreciate. Hoses arrived today. Many Thanks. Now fitted they look really good. Once again many thanks, great service. Thank you a lot for your technical answers. It's a pleasure deal with you, for your best quality product and for your quick communication. I've received the bespoke part it's perfect for my work. May you make me a quantity offer. and production you did for us just before your Christmas break, and fly it in to us ahead of schedule. The 1st class quality and turnaround time allowed us to complete our prototype project on time. Keep your quality and service up ! and hope to keep ordering througout 2011 with this project. Ok thank you for everything. Your customer service is truly excellent! I just received the items today. The hoses look great. Thanks for the packaging, very professional, pipes arrived in perfect condition! I hope i find some time soon enough to have them installed. with the 180deg 50mm bend at super short notice. PREVIOUS COMMENTS prior to 24th Nov AND ARE NOW ARCHIVED.